Outsourcing is when a business delegates their in-house tasks to third-party service providers. Some outsourcing contracts run for a particular time frame. Other contracts are for long term arrangements. Think outsourcing is great, but you are still sitting on the fence? Let’s get down to details on how impactful the reasons above are. Finding ways to cut down on expenses is a winning scenario for businesses of all scales. · Equipment purchases and upgrades. Savings you earned from these expenses will give you funds to invest on other areas in your business. Let's say, you are an artisan who sells handcrafted jewelry on Amazon. Instead of paying rent to accommodate staff, you can invest money to build your personal workshop. Let's take the same scenario in the previous section. For instance, the time for you to take your business beyond Amazon has come. You have decided to build an eCommerce site. Outsourcing this project to a company that offers eCommerce website development is your smartest move. 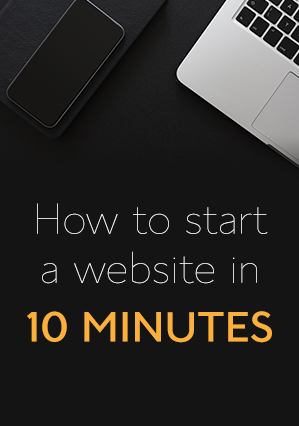 Sure, you can go the DIY route to build your site. Thing is, there is so much to a well-functioning website than meets the eye. It entails expertise in web design, programming and the nitty gritty back end IT stuff. While you can take the time to learn the ropes and get the hang of it, it is always better to trust the process to the experts. In return, you can focus on your expertise. This takes us to the next section. Your expertise is the driving force of your business. This is the list of the tasks that your brand is great at. These tasks are your core business tasks. Taking the artisan example, your core business tasks have to do with the creation of design concepts and innovation. Data entry, customer service and marketing keep your business afloat, for sure. However, innovating jewelry design, sourcing new materials and putting all these together are the main things that further your business. Having someone to do everything else helps you maximize and get the most of your core tasks. Indeed, outsourcing is a smart eCommerce business owner’s move. It saves you money, secures work quality, and above all allows you to focus tasks you love doing most. In the end, opting to outsource is choosing to take your brand further. Catherine is president and; executive director of 20four7va, a global eCommerce virtual assistance service provider. She is into strategic planning, product development, brand management, and digital marketing.